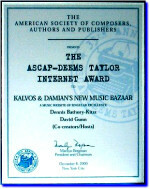 Between 1972 and 1991, or for nearly twenty years, Carson Kievman was dedicated to the creation of new music theater, in additional to many chamber and solo instrumental works. He created over 22 works for the music-theater, including 7 full length stage works, such as Hamlet, Tesla, and California Mystery Park (see list of works). 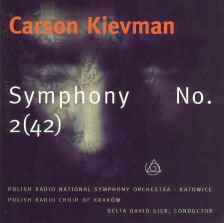 However, since 1991 Kievman has almost exclusively worked on large scale orchestral works, including "Symphony No. 2(42)" , "Symphony No. 3," and "Symphony No. 4." "Symphony No. 2(42)" was commissioned by the Florida Philharmonic Orchestra (James Judd, Music Director) to honor the 200th anniversary of Mozart's death, and recorded by the Polish Radio National Symphony Orchestra-Katowice, and the Polish Radio Choir of Krakow for release on New Albion Records. 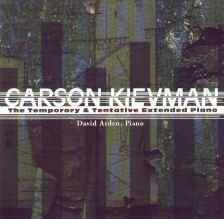 Pianist David Arden has recorded Kievman's solo piano works, including "The Temporary & Tentative Extended Piano" and "Nuts & Bolts," for release in May 2000 on CRI Record's Emergency Music label.. Also for future release Symphony No. 3 has been recorded by the Polish Radio National Symphony Orchestra and awaits a companion recording. Carson Kievman currently holds a Naumberg Fellowship to Princeton University where he is completing a Ph.D. His most recent composition Sine Nomine (Auctore Ignoto) was written for the Binchois Consort (England) for the International Josquin Conference at Princeton University. It was premiered on October 30, 1999 at the Princeton University Chapel, Andrew Kirkman, conductor. Performances followed in St. Paul's Chapel at Columbia University (11/3/99) and in Nicholas Music Center at Rutgers University (11/01/99). The entire concert (Josquin +) will be recorded in 2000 for Hyperion Records. He has counted among his teachers & mentors (or friends); Olivier Messiaen, James Tenney, Earle Brown, Luigi Nono, Morton Subotnick, Gunther Schuller, Joseph Papp, Mario di Bonaventura, Scott Burnham, Kofi Agawu, Paul Lansky, Rob Wegman and L. Arnold Weissburger. 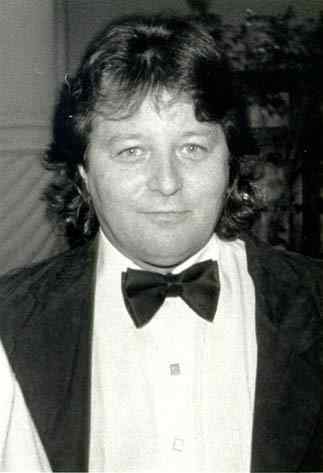 Kievman moved to New York City in 1977 and worked there until 1991. His work led to several European tours of his music in the 1970s and 1980s, and then a commission from the Tanglewood Music Festival in 1978. He was appointed as composer-in-residence for Joseph Papp and his New York Shakespeare Festival/The Public Theater, and entered the national spotlight with over 63 sold out & critically acclaimed performances of his music-theater works "Wake Up, It's Time To Go To Bed! (& Multinationals & the Heavens) in 1979 -- "Kievman is a Wizard!" The Village Voice; "Enthralling" The New York Times; "Great Art" The Boston Globe. This success was followed by the first opera commission "Intelligent Systems" ever given for the prestigious Donaueschingen Festival in Germany, and subsequently an appointment as the first composer-in-residence to the Florida Philharmonic Orchestra which solidified his reputation by the creation of "Symphony No. 2(42)." A recording of Symphony No. 2(42) performed by the Polish Radio National Symphony - Katowice and the Polish Radio Choir of Krakow, and released by New Albion Records has been acclaimed by music writers like Mark Swed, who selected the recording as one of the Top 10 Classical CDs of 1996! (Los Angeles Times) and the Post & Courier's 'Spoleto Today', "One of the most powerful musical experiences I have had in recent times" and by "Blue Gene Tyranny's All-Music Guide "An original and brilliantly expansive work". Kievman is currently at Princeton University where he holds a Naumberg Fellowship in Music Composition.